The ASX is still stuck within a sideways range as we wait to see whether this market can rally higher. The DAX was the strongest performer last week but is now approaching strong technical resistance. We will be discussing the importance of this move in the LIVE CHAT ROOM this week. For a continued move to the upside we must see the DAX close above 12044. Should this occur we will look for a move into 12115 before a pause. This is a very big level and if the DAX can break strongly above this, we will look for a move into 12198 and if momentum is very strong we cannot rule out a blow off move to 12384. If the DAX fails to close above 12044, we will look for a move back down to 11875. Any break below this level however could see the DAX sell-off sharply into 11755, and if momentum is very strong to the downside we could see a sharp move down to 11519. The S&P continues its stellar runs to the upside and we are now only 7 points shy of 2900. We will be discussing what this could mean in the MEMBER PORTAL as it happens. For a move higher we would like to see the S&P hold above 2870. Should this occur we will look for a move into 2902 before a pause. A strong break below this level however sets the stage for a move to 2922 with any further upside potentially meaning a retest of the all time highs at 2941. If we cannot hold above 2870, we could see this market sell-off into 2838 before another pause. A break of this level however may result in quick move down to 2808; and if momentum to the downside remains strong we may see a move down into 2785. Once again the Aussie Dollar continues to remain in a tight range and so our levels remain unchanged this week. 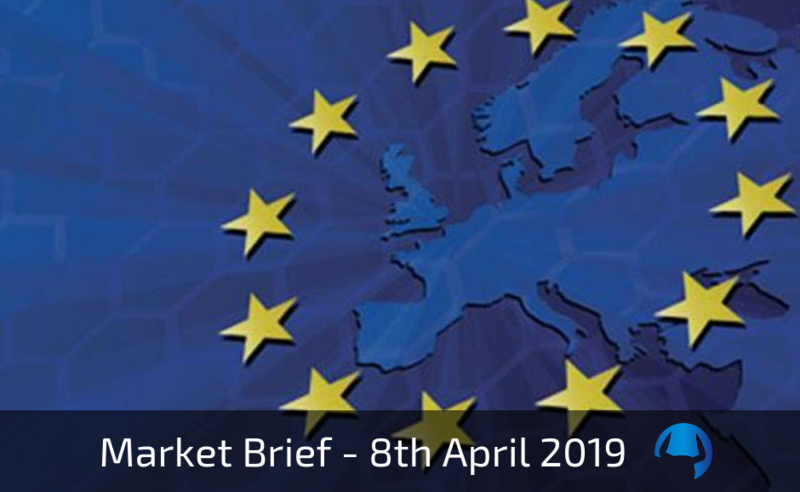 With an important week ahead for Europe, we could see volatility return to this market and are on alert for a potentially large move. We will again be covering this in detail MEMBER PORTAL as it happens. With the Brexit extension date looming, this is yet another important week for the Pound which has been showing some very interesting price action over the past week. For a continued move to the upside, we would like to see Cable close above 1.3035 and break through 1.3161 this week. Should this occur we will look for a move to 1.3191 and 1.3277; and if momentum is very strong we could see a re-test of last week’s highs into 1.3386. The Yen continued to rally last week but like other $US markets, is now at a critical area. For a move to the upside we must now see this market close strongly above 111.73. Should this occur we could see a strong move into 112.22. A strong break and close above this level could then see the $/YEN rally into 112.68, and if momentum is extremely strong to the upside 113.27 cannot be ruled out. If we cannot close above 111.73, we will look for another quick retest of 111.09. A break below this level however may result in a fast move down to 110.67, and if the downside remains very strong we cannot rule out a sell-off into 109.94. Gold appears to be basing and the question this week is can it hold at these levels, or will we see a complete breakdown?